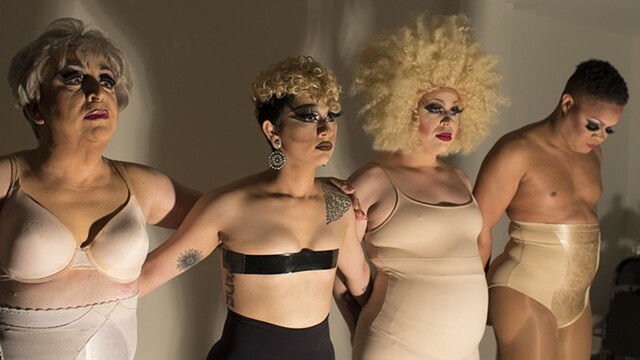 Featuring performers: Nikki La’Vie (Mercy Monroe), Gizele Monáe, Anita Richards & Josie Lee Turrelle. 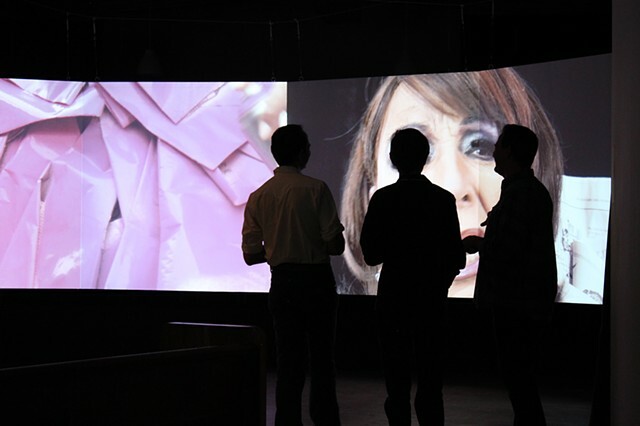 Political Gestures is a multi-channel video installation featuring overtly political drag performances created in collaboration with drag queens from Oklahoma. 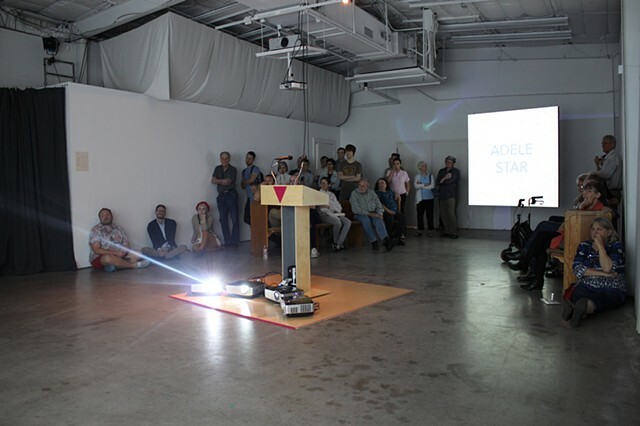 Celebrating the historical and underappreciated role of drag in the struggle for LGBTQ+ progress Political Gestures incorporates speeches from the 1979 March on Washington For Gay and Lesbian Rights, radically political queer music, and interviews with Carden Crow, founder and director of Tahlequah, Oklahoma's pride organization Tahlequality. 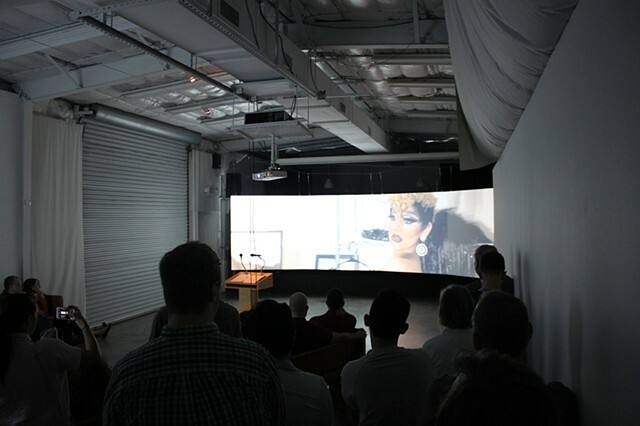 Prior to its May, 2018 premiere at Aurora Picture Show, Political Gestures was performed live and filmed at Oklahoma Contemporary in Oklahoma City. Political Gestures will be presented as part of Tahlequah, Oklahoma’s Pride Week in June, 2018. 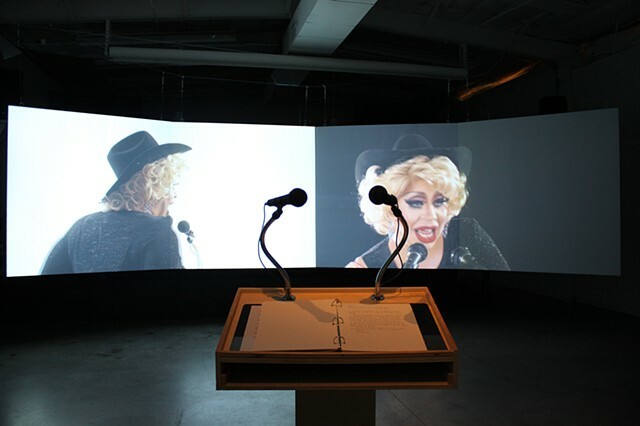 Political Gestures is commissioned by Aurora Picture Show (Houston, Texas); is funded in part by the Mid America Arts Alliance; is created in partnership with Tahlequality, Artists Laboratory Theater (Fayetteville, Arkansas), and Oklahoma Contemporary; and is made possible with generous support from the Tulsa Artist Fellowship.